At around 1PM January 27, 2015 (Manila Time), Facebook and its subsidiary Instagram both crashed, leaving millions of users hanging and wondering what will happen next and what exactly caused it. Many even turned to their Twitter accounts to vent out their frustration about the whole thing. Thankfully, though, a couple of hours following the break of the outage, both websites' services were successfully restored. Well, just a few minutes ago on Twitter, a certain entity - called Lizard Mafia - claimed responsibility for the whole fiasco and even threatened that other similar attacks are "to come soon". If we were to believe them, then we can say that the outage was caused by a weakness or a hole in Facebook and Instragram's security system and infrastructure -- which is scary. Apparently, they also attacked Tinder, AIM, and Hipchat. I don't really use those apps and services so I didn't notice. 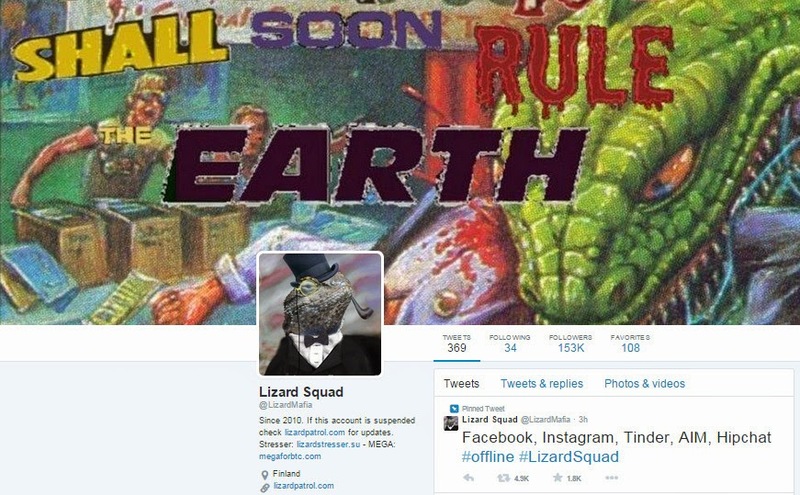 I'm not sure how big a group the Lizard Mafia is - a friend said that it's practically just a one-man team - and I think it's incredible how the 'mafia' can bring a tech giant like Facebook (with all of its resources) down to its knees for hours just like that. Oh, I really have to hand it to hackers; Aren't they amazing? So, can anything good come out of this? Well, by mounting this pretty-much-harmless attack, the Lizard Mafia was able to expose or bring to light inherent flaws or 'points for improvement' in Facebook's security model, which can now be addressed. I mean, just imagine if other more destructive and downright evil hacking groups that are out to spread terror were able to see those flaws ahead of the 'mafia' and exploited them.